FI 401(k) Solutions: What Is the Saver’s Credit? When you choose to offer your employees a retirement plan like a 401(k), a big part of its value is the tax benefits it can offer. 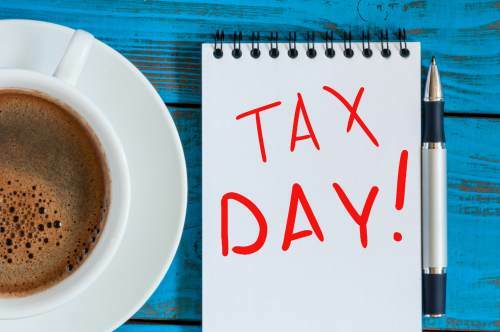 Up to the annual limits defined by the Internal Revenue Service, your employees can save money in a 401(k) on a pre-tax basis, meaning they don’t have to pay taxes on it until they withdraw it in retirement. That leaves them with more money to invest and grow between now and retirement, and a bigger account balance to use after they retire. In addition to these basic tax benefits, the IRS also offers something called the Saver’s Credit, which allows individuals and married couples to lower their taxable income—in certain circumstances. What exactly is the Saver’s Credit, and how does it work? The Saver’s Credit is designed for low- to moderate-income individuals who save money in a retirement plan. The credit applies to the first $2,000 someone saves, or $4,000 for married couples. Depending on your income level and your filing status, you can claim a deduction on your taxes of up to 50%, 20%, or 10% of your savings up to that limit. The maximum available credit is between $200 or $1,000 (double that for married couples). As an example, if an individual who is not married or filing as a head of household makes $18,500 annually and contributes $1,000 to a 401(k) plan, that qualifies them to claim a credit of $500, which is 50% of their total retirement savings contribution. Likewise, a married couple who together contributed $3,000 to a 401(k) plan and made a joint income of $39,000 would qualify for a total credit of $600, which is 20% of their annual retirement savings. What kinds of retirement savings qualify for the Saver’s Credit? Are there any special rules or considerations for the Saver’s Credit? • 18 Years and Over: Individuals must be over the age of 18 years in order to qualify. • Student Status: You must not be a full-time student to claim the Saver’s Credit. • Not a Dependent: You may only claim the Saver’s Credit if nobody else claims you as a dependent on their tax return. • Personal Savings Only: The Saver’s Credit only applies to money you yourself save in a retirement count, and does not cover any contributions made by your employer. • No Rollovers: If you have conducted a “rollover” to move retirement savings from one account to a new plan, contributing your existing savings to a new account will not qualify you for the credit. Note that a rollover doesn’t disqualify anyone from claiming the credit, but the credit will only apply to new contributions you make. • Non-refundable: Some credits are considered “non-refundable,” meaning they will only work to lower your overall taxable income, but will not result in a refund. This is true for the Saver’s Credit. • No 1040EZ: The Saver’s Credit must be claimed on a Form 1040 or 1040A, not a 1040EZ. If you have employees who fall into this salary range, but have been unsure about participating in your company’s 401(k), share this article with them. For the right employees, the Saver’s Credit is just one more good reason to start saving today.